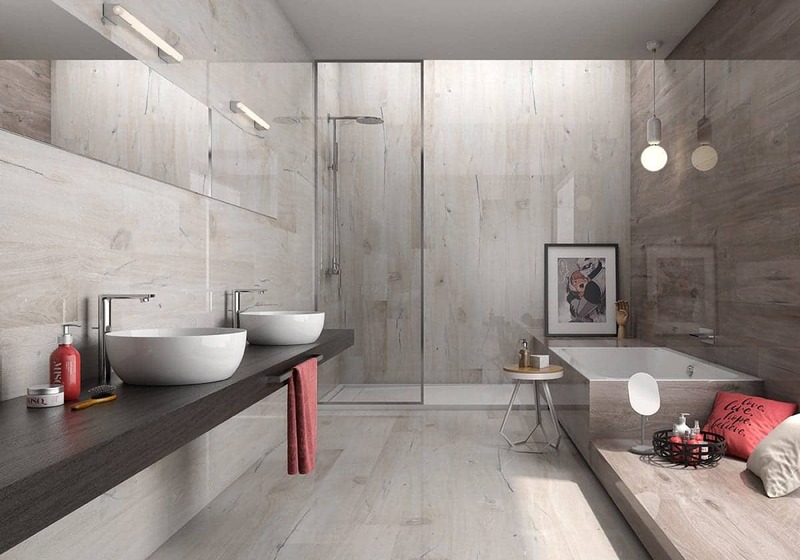 Realistic wood effect tiles offer easy maintenance and contemporary wood colours. The Lignum range comes as a polished gloss which lifts the wood effect to a different level. This hard wearing natural looking tile also comes rectified allowing very small grout lines to give a seamless look once fitted. Suitable for kitchens, bathrooms, dinning rooms, bedrooms, hallways and all living spaces. Colours available are marfil, beige and noce.